Following the Government's decision to consult on 'debranding' cigarette packets, we gather reaction from all sides of the debate. Branding experts, tobacco companies, lobbying groups and charities provide their reaction to today's story. "We feel plain packaging risks taking a myopic view of branding where it is seen as an unproven link between the role of branding and smoking behaviour, while it ignores the wider role of branding. "Just focusing on the connection between branding and smoking behaviour may be a distorted way of looking at the way of branding. "Branding on pack is about differentiating product and competition on the basis of quality, reputation and price but if all the packs look the same you move very quickly towards a generic commoditised market place and that is typified by price competition. "It means there is a loss of incentive for companies to invest in quality and reputations because they have no way to communicate that to consumers. While I’m sure the familiar brands will continue, if you were to launch a new product into the market it can only be a price fighting product and if that is a means of reducing prices to consumers then actually it may result in more people smoking rather than less because it becomes a very price sensitive market. "If all packaging looks the same it is then very easy for the counterfeiter because he only has to replicate it a few packaging designs rather than the many he has to do a the moment and it is very difficult for the consumer to identify a counterfeit. Counterfeit products tend to bypass the legitimate retail trade and so you get tobacco products sold out of car boots and the backs of pubs. Circumventing all the age controls the Government has put in place to try and stop young people getting access to cigarettes. "Branding also involves intellectual property rights that have been granted by the state and which companies have invested in over many decades to make extremely valuable so if the state effectively requisitions those intellectual property rights there is a question over the legitimacy of that and there is also a case for recompense and compensation. "We don’t try to tell Government how to regulate tobacco - what we are saying is if Governments wish to remove branding from packaging please be very aware of what you are doing and the likely implications. This is not a simplistic move and likely to have a complex effects on consumer behaviour and on markets." "We should bear in mind that this could be the piece of legislation that opens the door on increasingly restrictive marketing practices across a number of sectors deemed, by the Government, to be harmful to the general public. "Confectionary could be next in line - it doesn’t contribute that much to the state’s coffers, but is seen to contribute to obesity. Alcohol is a natural contender, although it does bring considerable funds into the nation’s purse. "It’s worth noting that tobacco companies have always successfully found their way around tricky legislation. There are still ways of maximising routes to market – recruiting trade advocates, buying in exclusive sales rights at music events and in bars, or through the as-yet unexplored avenue of using the pack’s interior as a branding vehicle – tobacco companies will already have extensive plans in place. "And, as over 40 years of increased duty on cigarettes has done little to dampen smoking habits, what makes anyone think putting tobacco in white packs with Helvetica type will? "I’m not convinced this move will have any effect on the hugely complex act of buying tobacco, just as I’m not convinced that making the marketing of confectionery and alcohol dark will do much to limit obesity or curb binge drinking. "Rather than wasting time and money on what is clearly designed to be a headline grabbing initiative, the Government would be better off encouraging responsible marketing and promoting a healthy lifestyle to the general public." "We’re really looking forward to making the voices of Cancer Research UK supporters and researchers heard in the consultation. "One in four deaths from cancer are caused by smoking but cigarettes are still sold in attractive packaging. Research shows that cigarette branding can be a way for young people to project their identity – like they do with trainers or mobile phones. Plain packaging won’t stop every one of the 157,000 under 16s who take up smoking each year but it will give them one less reason to start." "Andrew Lansley is clear the tobacco industry should have no business in the UK which is exactly the kind of statement you would hope to hear from a Secretary of State for Health. We would welcome that enormously – plain packaging is a means to an end and that end is breaking the tobacco industry’s stranglehold on smokers. "The research tells us three things about plain packs. First they are less misleading, currently the tobacco industry uses colours like gold and silver and blue and red to hint that some cigarettes are less harmful than others. "Second thing, they give the health warnings much greater impact. So you take away the holograms, the bright colours, the glitzy graphics and what you get is this much starker impact from health warnings. If you look at the packages they have got in Australia they have put the picture warnings on the front of the pack and made them much bigger. That is what we would like to see in this country. "The third thing is they are plainly less attractive to children, kids just don’t like the look of them and they take away all that cool appeal. The tobacco industry claims that plain packaging will give it an extra mystique for young people to make it look forbidden. If they really thought that was the case they would be doing it already. Their research and our research shows plain packs are a big turn off for young people. "The tobacco industry says it will increase tobacco counterfeiting but there is no evidence to support that. In fact existing packs are just as easy to counterfeit – the difficult bit to counterfeit isn’t the standard font or colour but the high resolution photographs they use on the tobacco warnings. The tobacco industry has invisible markers to help identify which ones are real and which is counterfeit and that will continue. "The consultation on plain packaging threatens to be a farce. Andrew Lansley says he is open minded yet he clearly supports plain packaging even before the consultation has begun. "Hundreds of thousands of pounds of public money has been spent in one region alone trying to persuade people to support plain packaging. Government is effectively using taxpayers' money to lobby itself. This scandalous abuse of public money must stop now. 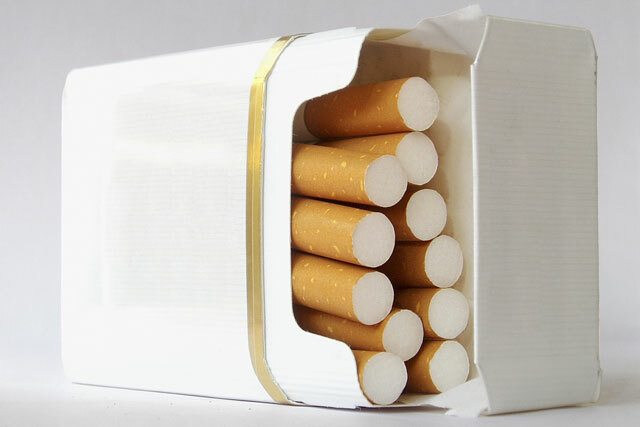 "Plain packaging is another step towards the denormalisation of a legal product. It is yet another attack on ten million adult consumers. "Despite our cynicism we urge consumers and retailers to make their voices heard and help defend Britain from excessive regulation." "Put simply, this will not work. We hope common sense will prevail and the Government will acknowledge the lack of any credible evidence to show that this proposal will actually work. "We would expect a consultation, like any other, to be a genuine and transparent process which takes into account how minors, and adult consumers, think and act." "We oppose the plain packaging of tobacco products and will be setting out our detailed views in our response to the government’s consultation. "Our trademarks are protected by law and we have a fundamental right to differentiate our brands from those of our competitors. "Tobacco packaging has never been identified as a reason why people start to smoke or continue to smoke. "We are particularly concerned about the impact plain packaging will have on illicit trade. "Logic dictates that making all tobacco products available in the same generic packaging will increase the already high level of counterfeit product available in the UK, placing further pressures on retailers and government tax revenues." "Plain packing will be easier for criminal gangs to counterfeit and children are more likely to buy cheap, dodgy cigarettes on the streets than adults. Rather than cutting youth smoking, plain packaging will make it worse. "Andrew Lansley's desire for tobacco companies to have "no business" in the UK is naive. "People know the health risks but still choose to smoke. Undermining the legal tobacco industry will only make more space for the illegal, unregulated black market - a very dangerous move. "We fully support a fair and open public consultation where everyone's views can be heard – and we strongly urge the Government to recognise the serious unintended consequences these proposals could have."